The Fayette County Guys & Gals Sheep Lead was held Monday evening at the sales arena on the fairgrounds. Peyton and Karlee Johnson took first place in the Pairs Class, sponsored by the Fayette County Agricultural Society. 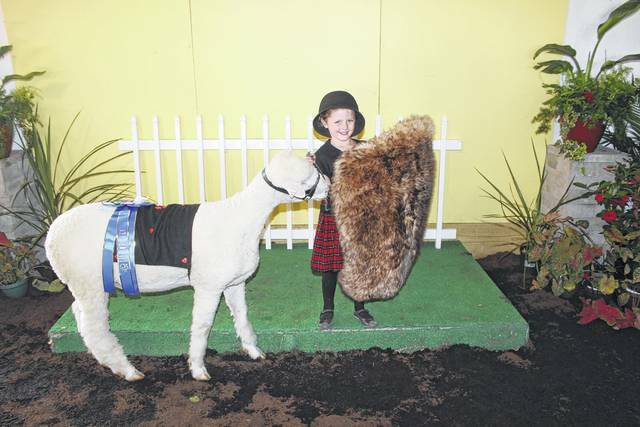 Carly Pokorny won first place in the Ages 4 and 5 Class, sponsored by the Fayette County Shepherd’s Club. Eloise Roehm won first place in the Age 6 Class, sponsored by Chrisman H2O Conditioning. The Loni Grice rotating trophy was presented to Eloise. Alli Renee Knecht won first place in the Age 7 Class, sponsored by Fayette County Veterinary Hospital. 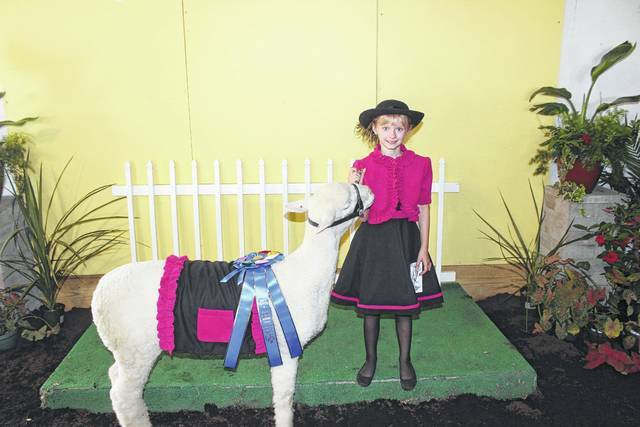 Emma Hagler won first place in the Age 8 Class, sponsored by Nanci and Bill Sexten. The Bob and Jean Cottrill rotating trophy was presented to Emma. Pictured with Emma is the Fayette County Lamb & Wool Queen, Macy Detty. Mia Roehm won first place in the Age 9 Class, sponsored by Doug Marine Motors. Peyton Johnson won first place in the Age 9 Class, sponsored by Chris Cottrill Seed Solutions, LLC. The B.J. Williams rotating trophy was presented to Peyton. 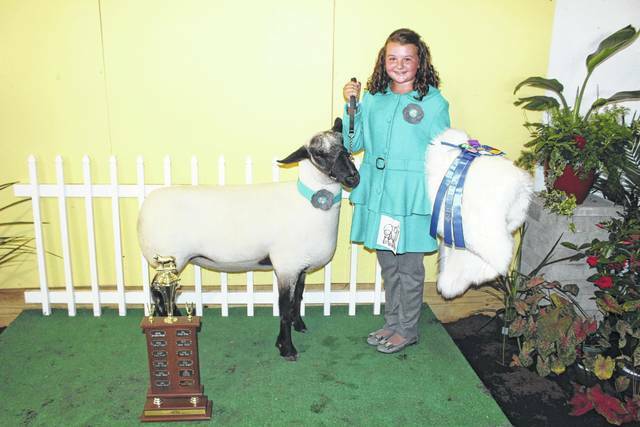 Caitlin Paige Cottrill won first place in the Age 10 Class, sponsored by Pettit’s Enterprises. The Malcolm Bloomer rotating trophy was presented to Caitlin. Natalie Lauren Lindsey won first place in the Age 12 Class, sponsored by Starmaster Feeds - Don Melvin. The Jodi Baker rotating trophy was presented to Natalie. 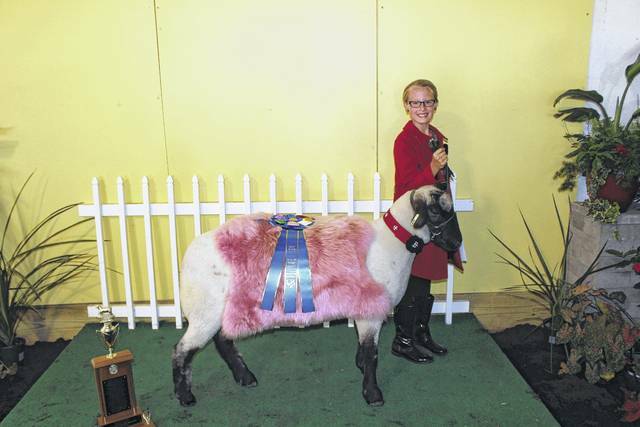 Lexi Hagler won first place in the Ages 13 and 14 Class, sponsored by Melvin Farms Club Lambs - Don and Tabitha Melvin. 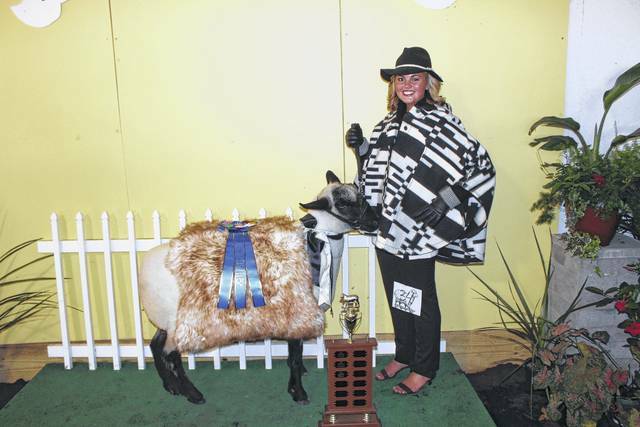 Marissa Sheets won first place in the Ages 16-18 Class, sponsored by Faith Cottrill. The Fayette County Shepherd’s Club rotating trophy was presented to Marissa. 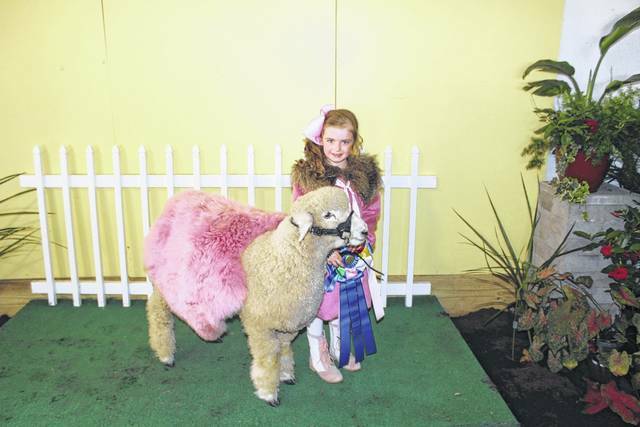 Natalie Lauren Lindsey won first place in the Age 12 Class, sponsored by Starmaster Feeds – Don Melvin. The Jodi Baker rotating trophy was presented to Natalie. 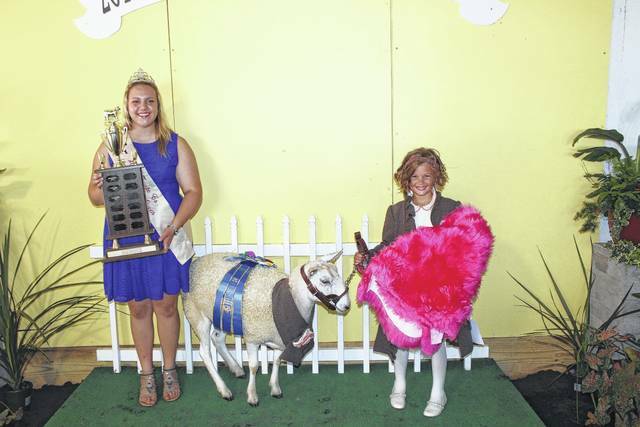 Lexi Hagler won first place in the Ages 13 and 14 Class, sponsored by Melvin Farms Club Lambs – Don and Tabitha Melvin. https://www.recordherald.com/wp-content/uploads/sites/27/2017/07/web1_IMG_9178.jpgThe Fayette County Guys & Gals Sheep Lead was held Monday evening at the sales arena on the fairgrounds. 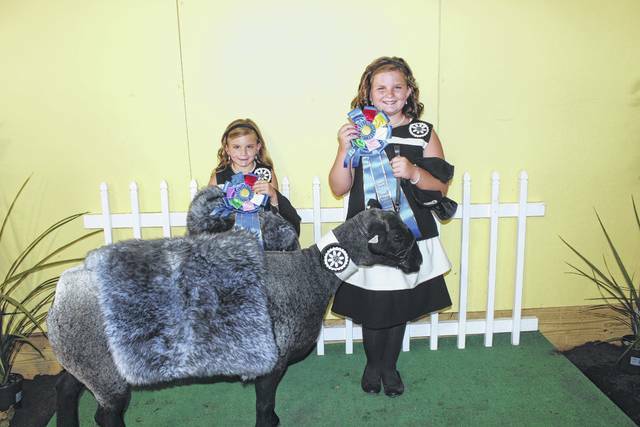 Peyton and Karlee Johnson took first place in the Pairs Class, sponsored by the Fayette County Agricultural Society. 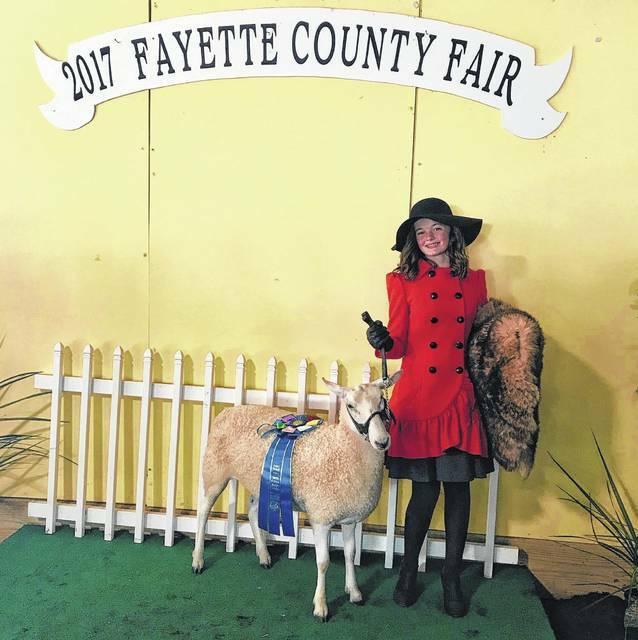 https://www.recordherald.com/wp-content/uploads/sites/27/2017/07/web1_IMG_9179.jpgCarly Pokorny won first place in the Ages 4 and 5 Class, sponsored by the Fayette County Shepherd’s Club. https://www.recordherald.com/wp-content/uploads/sites/27/2017/07/web1_IMG_9183.jpgEloise Roehm won first place in the Age 6 Class, sponsored by Chrisman H2O Conditioning. The Loni Grice rotating trophy was presented to Eloise. https://www.recordherald.com/wp-content/uploads/sites/27/2017/07/web1_IMG_9186.jpgAlli Renee Knecht won first place in the Age 7 Class, sponsored by Fayette County Veterinary Hospital. https://www.recordherald.com/wp-content/uploads/sites/27/2017/07/web1_IMG_9187.jpgEmma Hagler won first place in the Age 8 Class, sponsored by Nanci and Bill Sexten. The Bob and Jean Cottrill rotating trophy was presented to Emma. Pictured with Emma is the Fayette County Lamb & Wool Queen, Macy Detty. https://www.recordherald.com/wp-content/uploads/sites/27/2017/07/web1_IMG_9191.jpgMia Roehm won first place in the Age 9 Class, sponsored by Doug Marine Motors. https://www.recordherald.com/wp-content/uploads/sites/27/2017/07/web1_IMG_9193.jpgPeyton Johnson won first place in the Age 9 Class, sponsored by Chris Cottrill Seed Solutions, LLC. The B.J. Williams rotating trophy was presented to Peyton. https://www.recordherald.com/wp-content/uploads/sites/27/2017/07/web1_IMG_9196.jpgCaitlin Paige Cottrill won first place in the Age 10 Class, sponsored by Pettit’s Enterprises. The Malcolm Bloomer rotating trophy was presented to Caitlin. 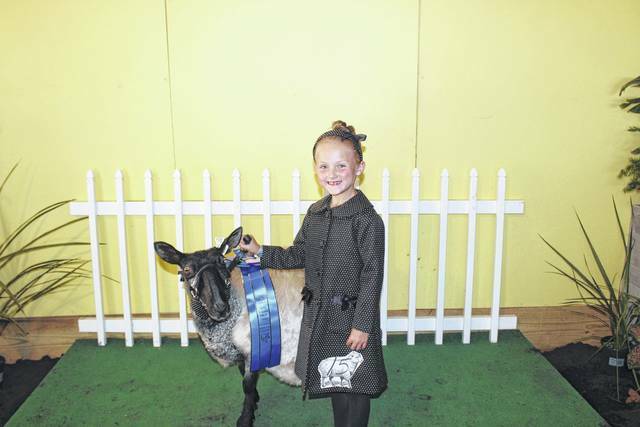 https://www.recordherald.com/wp-content/uploads/sites/27/2017/07/web1_IMG_9198.jpgNatalie Lauren Lindsey won first place in the Age 12 Class, sponsored by Starmaster Feeds – Don Melvin. The Jodi Baker rotating trophy was presented to Natalie. 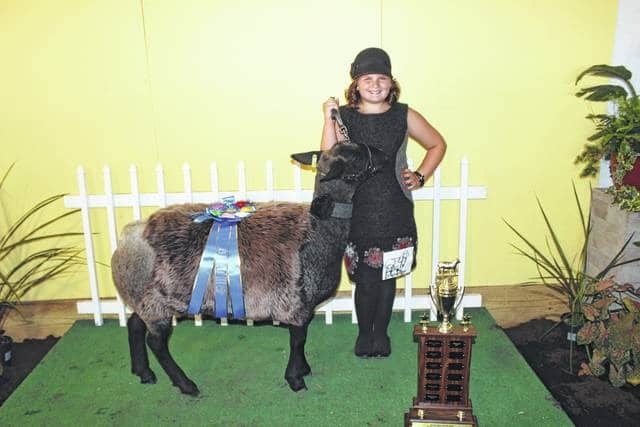 https://www.recordherald.com/wp-content/uploads/sites/27/2017/07/web1_FullSizeR.jpgLexi Hagler won first place in the Ages 13 and 14 Class, sponsored by Melvin Farms Club Lambs – Don and Tabitha Melvin. https://www.recordherald.com/wp-content/uploads/sites/27/2017/07/web1_IMG_9203.jpgMarissa Sheets won first place in the Ages 16-18 Class, sponsored by Faith Cottrill. The Fayette County Shepherd’s Club rotating trophy was presented to Marissa.